Great content deserve great ranking. Content is the language your brand uses to speak to your customers. It needs to conform to the trends, changing preferences, and shifting marketing landscape. Hence your brand too would need fresh content regularly to improve your engagement with your customers and get a Google ranking signals boost. Content is proven as the number one inbound marketing strategy. With content you can open a new avenue of lead generation with total strangers. Employing the services of the best content writing companies in Bareilly is a great way to infuse a touch of freshness with relevant and meaningful information. At SD Web Solutions, we provide businesses with requirement specific content writing services and marketing plans that can help reach out to potential consumers across various spectrum on the web. Empowering brands, connecting the consumer with the brand, along with providing quality content writing services is what we are best at. A long list of our happy clients is what testifies the quality of our work. 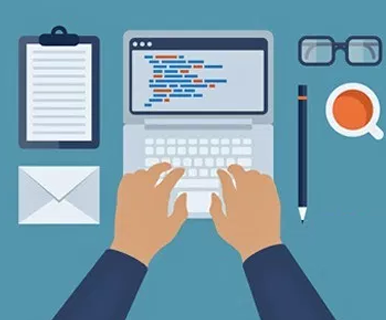 At SD Web Solutions, you can get quality content writing services that is aligned with your ongoing projects, offering a complete view of your products, speaking highly of your organization, and presenting accurate information regarding your company’s services and offers, besides amplifying your brand’s outreach in the best way possible.